While media attention over the past few months has focused on a brewing third Palestinian intifada in response to the expansion of Israeli settlements in the Occupied West Bank and East Jerusalem, Al-Shabaka policy advisor Omar Barghouti argues that a far more widespread, nonviolent grassroots movement originating in the Occupied Palestinian Territories has been building and spreading around the world. He reviews the formation and evolution of the boycott, divestment, and sanctions (BDS) movement, including its rights-based (as opposed to solutions-based) approach, its collective leadership, its call to Israelis of conscience, and its promotion of context-specific strategies. Kohr added, "This is a conscious campaign to shift policy, to transform the way Israel is treated by its friends to a state that deserves not our support, but our contempt; not our protection, but pressure to change its essential nature." The global campaign in response to the Palestinian BDS Call, which is guided by its Palestinian leadership, has made significant inroads into the Western mainstream over the past few years. The global BDS Campaign asserts a new, rights-based discourse in dealing with the question of Palestine. By so doing, it decisively exposes the double standard and exceptionalism with which the United States and most of the West have to varying degrees treated Israel ever since its establishment through the carefully planned and methodically executed campaign of forcible displacement and dispossession of the majority of the Palestinian people in the 1948 Nakba. 4 The official western collusion reached its height when Western states collectively ignored the historic advisory opinion issued by the International Court of Justice on 9 July 2004, which affirmed that Israel's colonial Wall and settlements were contrary to international law – at a time when Palestinians were still reeling from Israel's violent take over of cities and refugee camps in the occupied West Bank in 2002. This factor was the direct trigger for the BDS Call a year later. The BDS Call, signed by over 170 Palestinian organizations, political parties, trade union federations, and mass movements, expresses the collective aspirations of the Palestinian people by asserting that only the fulfillment of the Call's three basic demands would satisfy the minimal requirements for the people of Palestine to exercise the inalienable right to self determination. The BDS Call has laid "the predicate" for transcending the failed official Palestinian policy of reducing Palestinian rights to the attainment of a Bantustan under Israel's overall control. It presents a popular Palestinian response to the incessant concessions by the so-called leadership over basic rights. Palestinian officials, lacking a democratic mandate and running after the trappings of power, narrow economic interests, and privilege, have through years of a US-Israeli designed and managed "peace process" effectively surrendered the right of return as it is defined by the UN; accepted Israel's occupation and colonization of key parts of the West Bank, including in East Jerusalem; expunged the 1948 Palestinians, citizens of Israel, from the very definition of the Palestinian people, indirectly legitimizing Israeli apartheid; forsaken the moral high ground by accepting a symmetry between the "claims of both sides;" and played along Israel's public relations campaign of portraying its colonial conflict with the Palestinian people as merely one over some disputed land. By avoiding the prescription of any particular political formula, the BDS Call insists, instead, on the necessity of including the three basic, irreducible rights above in any just and legal solution. It presents a platform that not only unifies Palestinians everywhere in the face of accelerating fragmentation but also appeals to international civil society by evoking the same universal principles of freedom, justice and equal rights that were upheld by the anti-apartheid movement in South Africa and the civil rights movement in the United States, among many others. In this way, the BDS movement has dragged Israel and its well-financed lobby groups onto a battlefield where the moral clarity of the Palestinian struggle for self determination, justice, freedom and equality neutralizes -- even outweighs -- Israel's military power and financial prowess. BDS is the classic right over might paradigm, with the international public increasingly recognizing that Israel's criminality and impunity place a moral burden on all people of conscience to act fast, and with effectiveness, political suaveness and nuance. An important component of the BDS Call that is often overlooked is the unambiguous invitation to conscientious Israelis to support the Call, recognizing the important role anti-colonialist, anti-racist – i.e., anti-Zionist -- Israelis can and ought to play in ending Israel's criminal impunity and apartheid. A fast growing group of principled Jewish-Israeli supporters of BDS fully recognizes this Palestinian reference. 6 Some Zionist "left" voices, on the other hand, have recently presented their own versions of "BDS," after the movement started having a palpable impact on the western mainstream. In several instances, these voices have ignored or undermined the Palestinian BDS Call and leadership as the reference for the global movement, in an attempt to project themselves as an alternative, Israel-centered reference. Their ultimate objectives are clear: salvaging their lost, unwarranted agency and inflated sense of entitlement to speak on behalf of the Palestinians; forestalling any challenges to Israel's system of apartheid and denial of refugee rights by circumscribing Palestinian rights to the "ending the occupation" in return for dropping "all claims" paradigm; and restraining solidarity initiatives to conform to their selective and ideologically motivated agendas. The BDS Call builds on many Palestinian and international initiatives for boycotting Israel and/or divesting from it, particularly since the UN Conference Against Racism in Durban in 2001. Whereas moral consistency and commitment to universal human rights are the overriding principles of the global BDS movement, operationally, BDS is based on three basic principles: context sensitivity, gradualness, and sustainability. 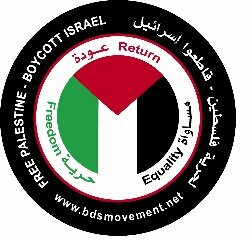 Conscientious academics, intellectuals, human rights activists and civil society organizations in any given country, the movement recognizes, know best how to apply BDS most effectively in their particular circumstances, taking into consideration their respective political realities, constraints and potential. Applying pressure for the immediate and unconditional implementation of the recommendations included in the Goldstone Report, adopted by the UN Human Rights Council and backed by the UN General Assembly and almost every major international human rights organization, to hold Israel accountable for committing war crimes and crimes against humanity. Collusion and moral duty aside, the responsibility to promote and support the BDS campaign against Israel also derives from common interest. While the US and other Western states fund Israel's endless wars and system of apartheid to the tune of billions of dollars every year, millions of children in the West are still left behind in substandard housing, inadequate or non-existent health care, poor education and an establishment that effectively disenfranchises them when they grow up from effectively participating in the democratic political process. A progressive transformation in US and European Union (EU) priorities from directing these nations' great human and material resources into wars and imperial hegemony on the international scene to investing in universal health care, dignified housing, a school system that is conducive to critical and contextual learning and development, decent jobs, and reversing the fatal damage to the environment, is not only good on its own merits for the peoples of the West; it is also great for the world -- for Iraq, Afghanistan, Pakistan, Latin America, Africa, and, most certainly, Palestine. The global BDS movement for Palestinian rights presents a progressive, anti racist, sustainable, moral and effective form of civil, non-violent resistance for Palestinian human rights that is also fast becoming one of the key political catalysts and moral anchors for a strengthened, reinvigorated international social movement capable of ending the law of the jungle and upholding in its stead the rule of law, reaffirming the rights of all humans to freedom, equality and dignified living. Indeed, BDS may well prove to be the most powerful form of popular Palestinian resistance ever.